I am so excited for Thanksgiving this week, I can hardly stand it!! We’ve got 2 parties at the boys school this week. One this morning and one Tuesday. As if I’m not going to eat enough Thursday! Here is another version of the mini pies I made a couple months ago. I added a pumpkin pie filling along with some marshmallows and chocolate chips. The marshmallows leave a gooey sweetness I love in these pies. 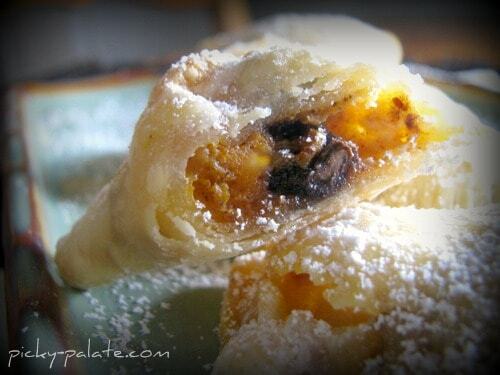 If you are a pumpkin pie fan, these little pies will not disappoint! Take a peek! 1. Preheat oven to 350 degrees F. In a bowl, mix together the pumpkin, sugar, milk, cinnamon, nutmeg and egg until well combined. 2. Roll out each pie crust. 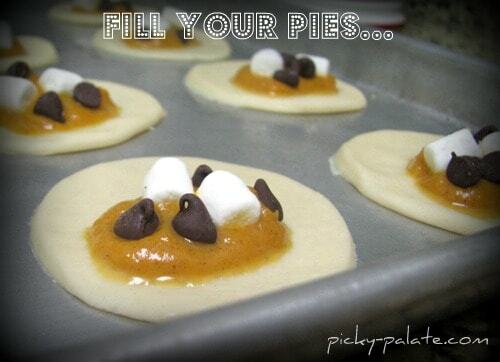 Use a 3 inch round cookie cutter or glass and cut out circles from pie crust. Be sure to re-roll extra dough. Place round pie crusts onto a cookie sheet that’s been sprayed with cooking spray. Place 1 teaspoon of pumpkin pie filling into center of each pie crust round. Top with 2 marshmallows and 4 chocolate chips each. Brush edges with egg wash then fold crust over filling and press edges with tines of a fork to seal. Poke top of each crust with fork for steam to escape. Clean any oozing pumpkin filling with a paper towl. Brush tops with egg wash and bake for 20-22 minutes or until golden brown. 2. 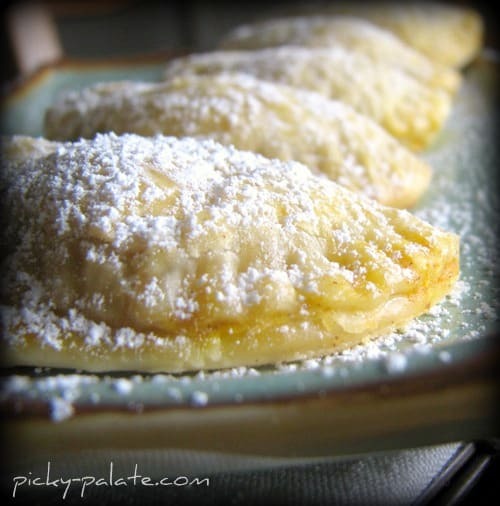 Let cool for 5 minutes, dust with powdered sugar and serve warm. Love these. I absolutely love chocolate and pumpkin together. Can’t go wrong! These are so cute, Jenny! I may have to add these to our Thanksgiving menu. We’ve never really done the traditional pies. Have a Happy Thanksgiving! Those look really good Jenny and so easy. These are totally adorable! I don’t really like pumpkin pie but I bet I’d like these! Yum..
Oh WOW – I have to try these!! YUM! These looks so simple and so delicious! I love the combination of the chocolate and marshmallows with the pumpkin flavor. I will have to try it!! Oh Jenny…you are a foodie genius!!! So fun to see you guys Saturday : ) your boys are so dang cute! 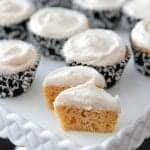 Perfect bites Jenny! That’s really clever girl! Very cute. 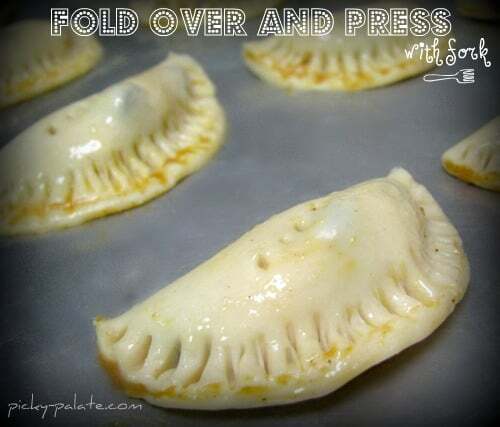 I tried something like this recently w/ Puff Pastry, but wasn’t as good as yours! This is such a great idea/ I love mini foods. Just enough of a bite so you don’t feel like your giving something up and just small enough to not be overdoing it! Okay, you totally read my mind! I was already planning on making “pumpkin pocket pies” (thanks to this gadget [http://www.williams-sonoma.com/products/b318/] I got at Williams-Sonoma) and now you’ve given me a great filling to put in it, instead of regular ol’ pumpkin pie filling. Thank you! 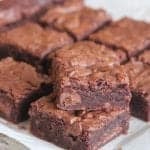 How easy an awesome is this recipe. I am seriously going to make these mini-pumpkin pies tomorrow. Thanks for the idea! What a fabulous twist on pumpkin pie! I love it!! These would be gobbled (lol! did I say gobble?) up in no time at my house! Jenny, what a great idea! Love it. Thanks for sharing. They look so yummy! I bet the kids would absolutely devour them! Oh my…..in love with these! I made these and took them to my Mom’s on Thanksgiving night! They were wonderful, and were a big hit with the little ones!! 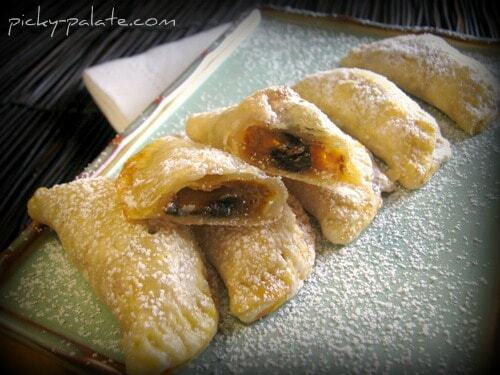 I made these a few days ago with puff pastry instead of pie crust! Oh my goodness were these ever good!!! 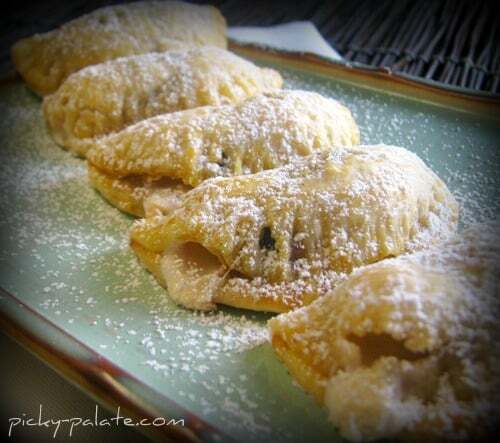 My fiancé and I enjoyed them very much, and later that day I took some to my parent’s and even my dad, who usually NEVER eats any kind of dishes with pumpkin, absolutely loved them! These look way fun! I will have to remember these for Thanksgiving next year! i tried these, they were so good!! But instead of chocolate I did white chips, they were sooooo yummy!!! I read this article fully on the topic of the comparison of latest and preceding technologies, it’s amazing article.